G.I. Joe FSS 5 Darklon & Salvo reviews! Two more G.I. Joe FSS 5 figures get the review treatment this week: Darklon & Salvo! What is this? Could it be? Have the admins publisihed two MORE G.I. Joe FSS 5 reviews this week? You bet your sweet Evader it’s true!!! Fred and Chris are back with a look at the two latest figures to arrive from the G.I. Joe Collector’s Club Figure Subscription Service: Darklon & Salvo! You’d be hard-pressed to find a more mis-matched parir of characters from the latter half of the A Real American Hero run than these two. One is a distant cousin of Destro whose fashion sense could best be described as “thrift store chic as assembled in a darkened room.” The other is a towering anti-armor trooper whose basic philosophy on firepower is emblazoned on his hand-lettered t-shirt. So what do our intrepid reviewers think of the G.I. Joe FSS 5 dynamic duo of Darklon and Salvo? Does Darklon improve upon the original 1989 design or is it another faithful club recreation? Does this second build of Salvo better satisfy the expectations of fans? (After all, the first Salvo build went over like 2016 Joe Con JUMP pack souvenir sets.) Heck, does Deadpool return after his glaring omission in the last two reviews? Head on over to the G.I. Joe Collector’s Club Review Index and check out what two long-time Joe fans think of both Darklon and Salvo! G.I. Joe FSS 5 shipment 3 is inbound! G.I. Joe FSS 5 subscribers should start checking their mailboxes – shipment 3 is incoming! It’s that time again– when a new G.I. Joe FSS shipment hits the porches and mailboxes of subscribers everywhere! However, after an error with the warehouse, fans are getting one shipment early. Shipment 3 has deployed… well ahead of shipment 2 and, thanks to Alyosha of BrokenArrowToys.com, we’ve got an early look at just who is in the box. G.I. Joe FSS 5 new Salvo build? Let’s hope so! Let’s be honest– the G.I. Joe FSS 5 Salvo preview went over with the fandom like G.I. Joe Extreme. The fandom was nearly-unanimous in its condemnation of the sub-bar design and took the G.I. Joe Collector’s Club forums to make their collective voice heard. For Salvo, we tried many different combinations rather than a straight up repaint. After reviewing some of your suggestions, we’ve selected another option to show you a new figure build before we have final feedback on tool availability. So, keep your fingers crossed! Yes, there’s no guarantee that the new build will be approved for use by Hasbro BUT the Club must be pretty confident of the odds if they released this image to an already unhappy fandom. To this Joe fan’s eyes– there is NO comparison. The version on the right is the clearly superior build both in terms of size and with regard the lettering found on the t-shirt. Now, let’s just wait until we have confirmation that this WILL be the official G.I. Joe FSS 5 Salvo build! 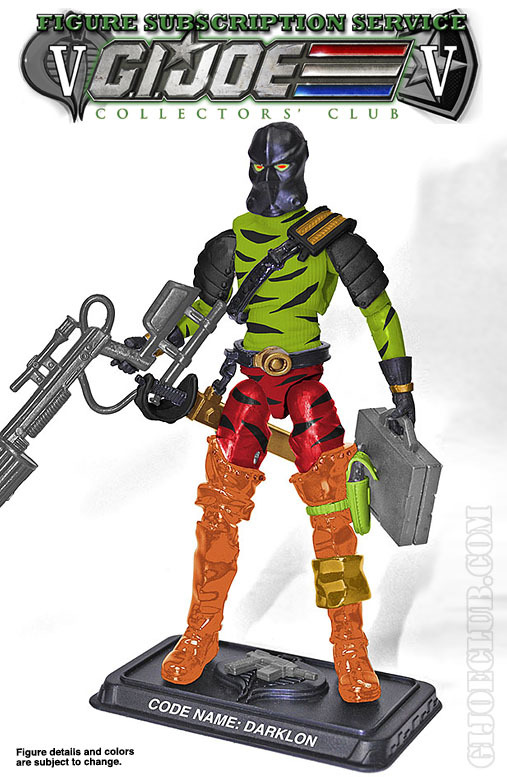 To subscribe to the FSS, head on over to GIJoeClub.com and stay tuned to JBL for more G.I. Joe FSS 5 news! Unhappy with G.I. Joe FSS 5 Salvo? Let the Club know! Wow… there was quite the reaction to yesterday’s G.I. 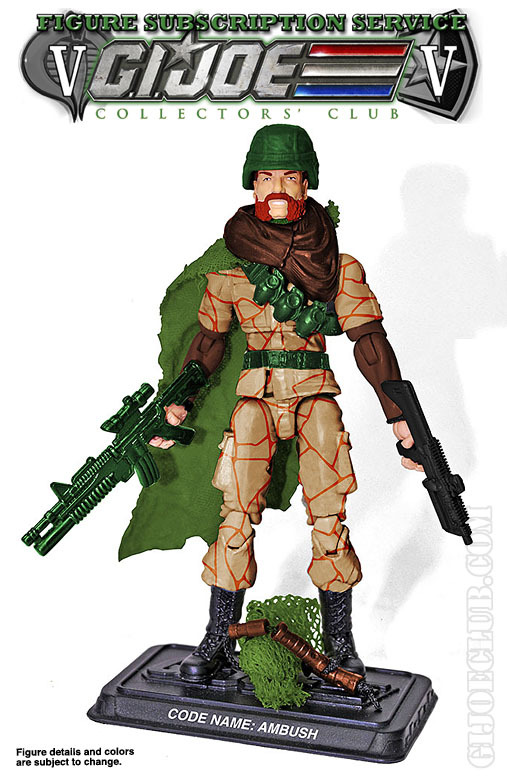 Joe FSS 5 reveal of Salvo! 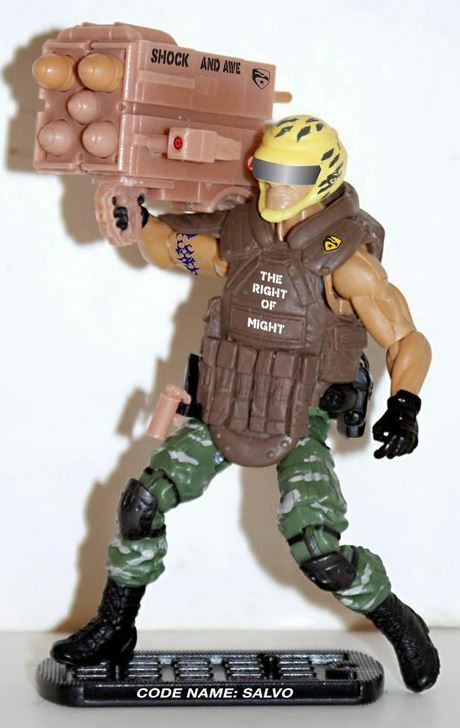 From JBL’s own Facebook page, to GeneralsJoes.com, to the G.I. Joe Discussion Group, the fandom united in this displeasure with this particular figure build. Typically, criticism of the Club’s product is met with disdain by certain pockets in the community but even those factions seemed to agree: the Salvo build was not what it should have been. G.I. 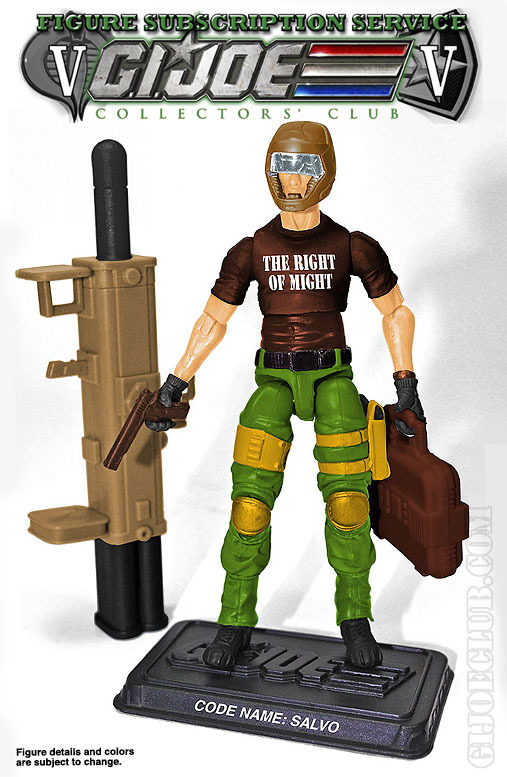 Joe FSS 5 Salvo Preview! The best kind of feedback to leave is constructive criticism. Let the Club know what you do like about the build used for Salvo but also let them know what you would like to see improved. If you’d prefer to see Specialist Hasle build on a Retaliation Roadblock body (as the NJCC version was) then say so. 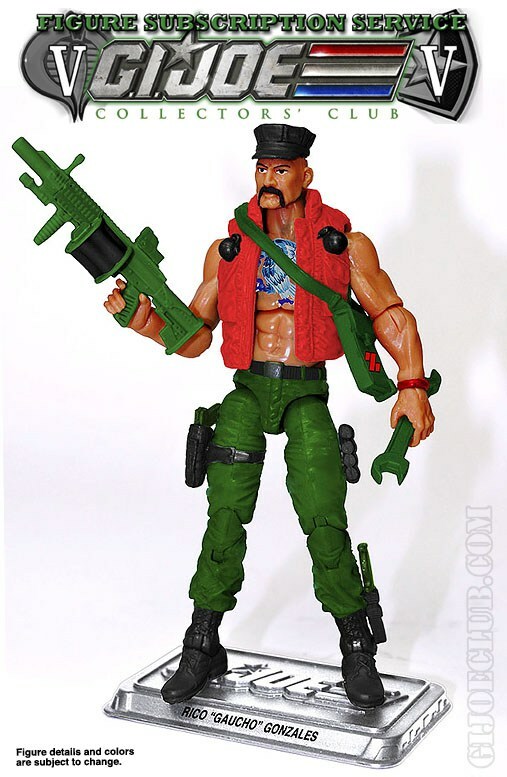 Or, if you think a more likely build is the one used for the recent Joe Con 2015 Tiger Force Big Brawler, say so! The point is that if you want to see this figure changed, now is the time to speak up! Be advised: the forum is only available to active members of the G.I. Joe Collector’s Club. Who knows? Maybe the feedback of its membership can prompt the Club to course correct this time. 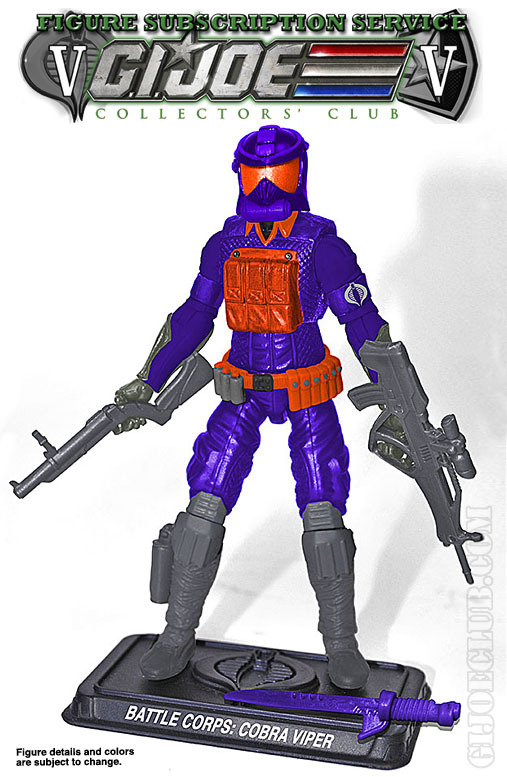 After all, it worked once before when people complained about the colors used for FSS 4 Hit & Run and Spearhead. After all, isn’t the goal of the FSS to produce figures that the subscribers are going to be excited to purchase? Hopefully, if enough positive criticism comes in, the Club will acknowledge the concerns of the fandom. He at least deserves as much care and attention as went into producing figures like Tiger Force Big Brawler and FSS 1 Surefire. The G.I. 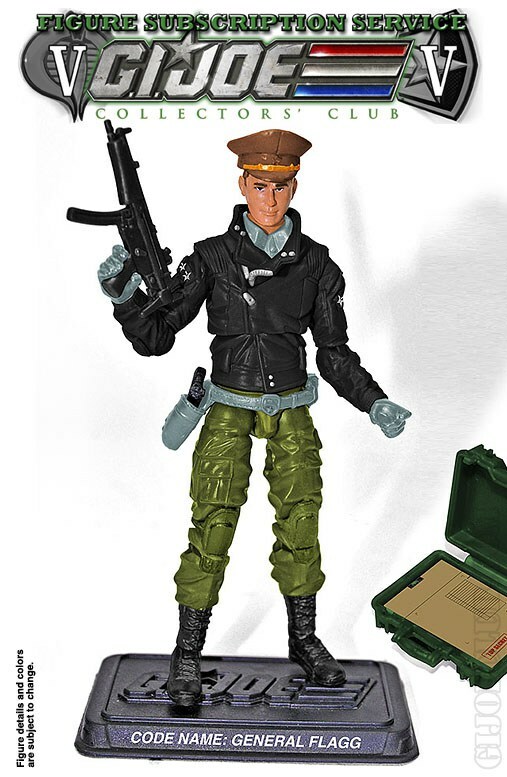 Joe FSS 5 previews continue with a look at the anti-armor specialist Salvo! 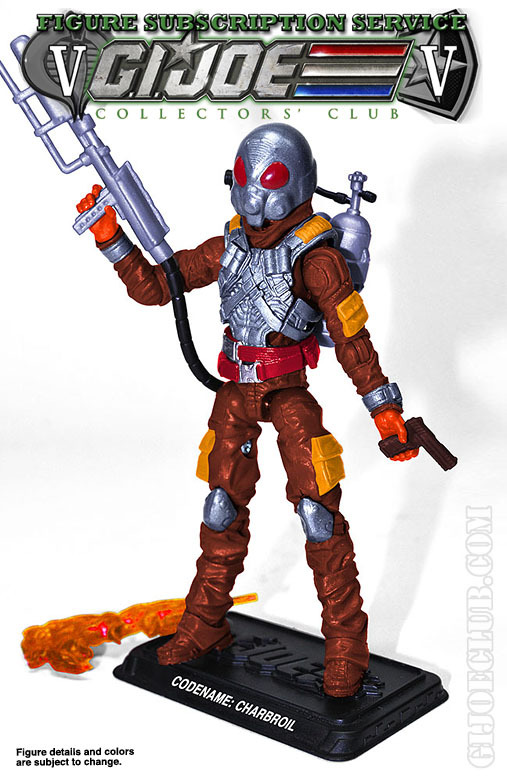 Includes: removable helmet, rocket launcher with projectile, weapons case, pistol, and figure stand. NOTE: All images are Photoshop representations, final product, accessories and/or colors may vary! Hmm… not at all what I was expecting. Not at all. When Salvo was first announced I figured that the Club would favor the G.I. 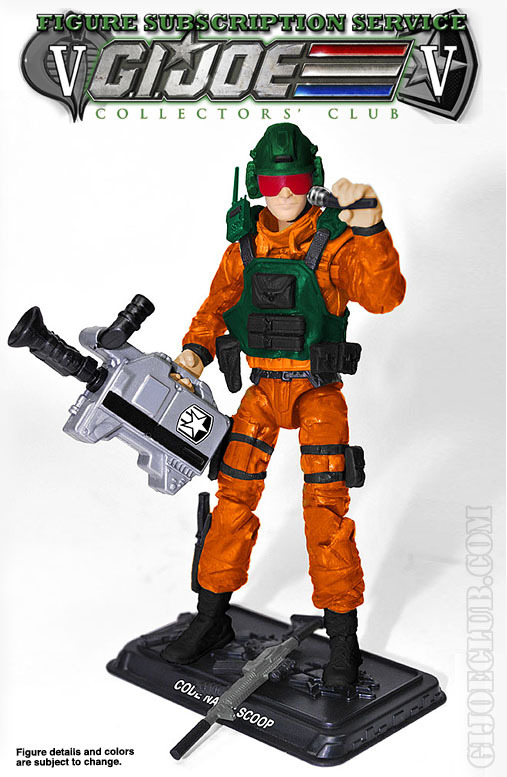 Joe Retaliation Roadblock body given the character’s apparent size as well the nature of the gear he toted. 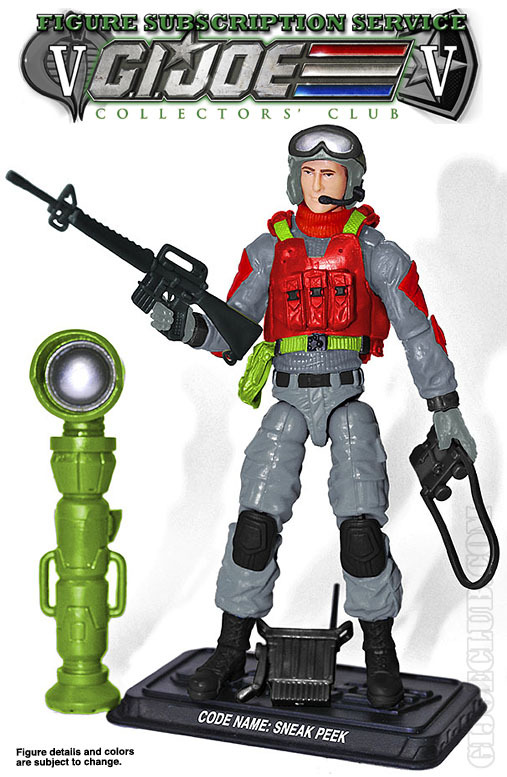 The original 1990 figure was equipped with a MASSIVE missile launcher as was the later DTC Salvo figure. Instead I’m seeing the legs that were used for the Resolute Duke action figure and, well, an upper torso that seems to lack the muscle mass of ALL of the previous releases. And then there’s the helmet, which is a reuse of the head protection that was included with the Pursuit of Cobra Sci-Fi. After yesterday’s reveal of Gaucho and now Salvo, I’m not nearly as excited about this roster as I once was. G.I. Joe FSS 5 sign-up is LIVE! This isn’t a preview announcement– G.I. Joe FSS 5 sign-up is now LIVE! So, if you’re at all interested in this year’s wave of 12 stated figures plus the mysterious 13th bonus character, head on over and sign-up today! 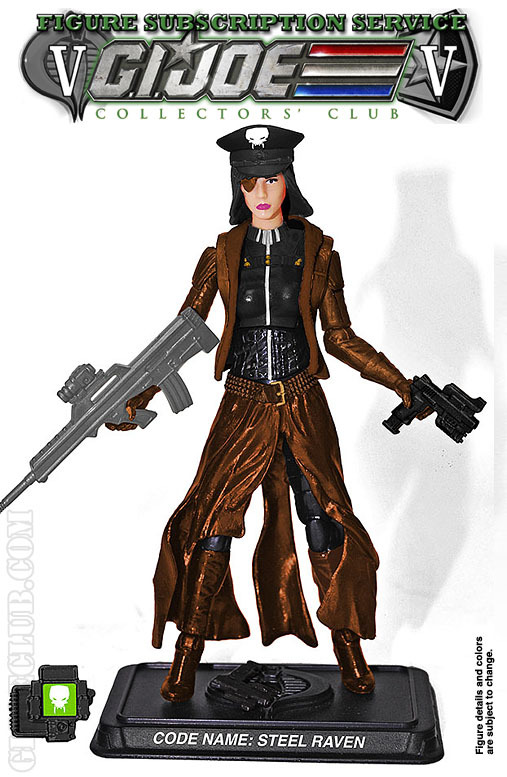 The GIJCC Figure Subscription Service 5.0 is an optional separate purchase if you are an active member of the G.I. Joe Collectors’ Club. You can subscribe now through September 2nd deadline! The cost of the 12 figure subscription service is $336 (+ shipping for 6 shipments). You can pay all at once or in three installments of $112 (billed to your credit card). When you subscribe and choose pay by Installment, you will be billed for the first two month’s shipments. Then sometime during the second month of shipping you will be billed for the 3rd and 4th months’ shipments and sometime during the 4th month of shipping you will be billed for the final 2 months’ shipments. Upon subscription completion, you will receive a bonus carded 13th mystery figure with the last shipment. This Figure Subscription Service is a “build to order process” so you can order as many as you like, until the order period closes. At that time, we will not process any additional subscriptions and we may/may not have additional figures in the club store at a higher per figure price. Please note that these are Photoshop mock-ups and the final product may vary. Also note that the colors are approximate as some may look glossy and everyone’s computer screen has a different look/calibration. Final figures colors/names/accessories may vary from the above descriptions and pictures. Thanks for posting this on all your boards! Order now! 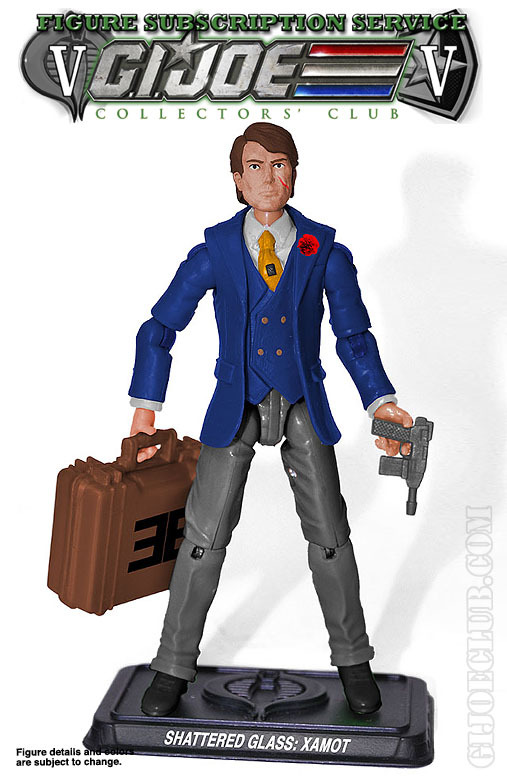 New Jersey Collectors Con figure revealed as G.I. Joe’s Salvo! 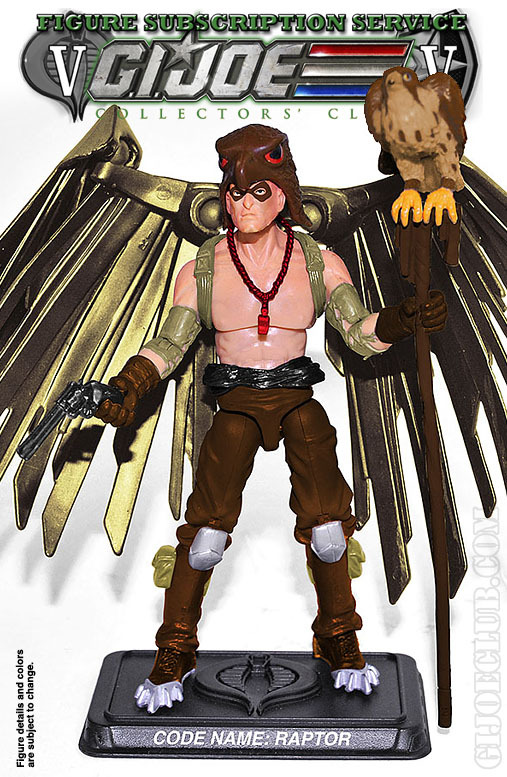 Fans of custom figures in the G.I. Joe community are probably familiar with the name “Kevin Watts.” Know for his imaginative parts use and mind-blowing painting skills, Kevin is the mastermind behind the Canv-HISS project showcased at the 2013 G.I. Joe Collector’s Convention. He’s also the project lead behind last year’s amazing Metal-Head fan figure that was given away at the New Jersey Collector’s Convention. Well, it would seem that Kevin and his talented crew of customizers are back in action once again– and have revealed this year’s NJCC exclusive giveaway figure. Right now, I really really HATE Kevin. I had the same reaction after last year’s Metal-Head figure. It’s not because it’s a bad figure or anything like that. It’s due to the simple fact that there is no way I’ll be able to obtain one of these. The figures are door-prizes– given away to attendees of the NJCC and are not officially sold in any other capacity. Also, they’re custom figures produced by hand– meaning that the production run is INSANELY low. I was fortunate to see a “prototype” of this figure at Joe Con this year and I can say that is doesn’t disappoint. More information on this figure and the event can be found over at HissTank.com. DVD: G.I. Joe Series 2 season 2 hits shelves TOMORROW! Just a reminder in the midst of all of the pre-SDCC hype that G.I. Joe has a new DVD dropping tomorrow! Fans of the DiC animated series will soon be able to complete their collection as Shout Factory releases G.I. Joe Series 2, season 2 on July 10, 2012! Let’s be honest– when compared to the Sunbow series, the DiC episodes of the 90’s left a lot to be desired. The plots in season 2 of the second series were– well, let’s just say that “Kindergarten Commandos” sums it all up. However, this series is also the only time that certain characters and character designs were ever featured in animation. 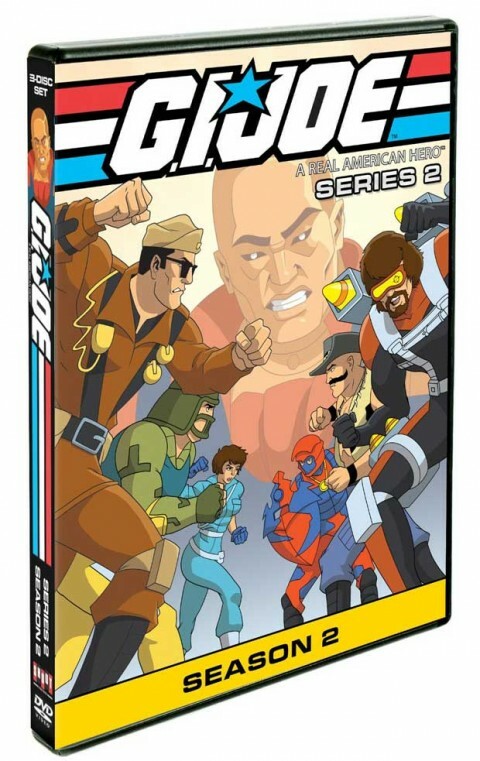 Characters like Pathfinder, Metalhead, Salvo, Bullhorn, Iron Grenadier Destro, and even the Ninja Force all made their first and only appearances during DiC’s tenure. Plus, this volume has a short special feature with members of the Hasbro design team discussing their recollections of the series as well as the origin of the Python Patrol! So, what do YOU think of Series 2? Has it aged well? Is it good cheesy fun or the abomination some fans claim? Sound off!